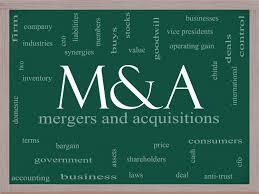 VMR & Company (Chartered Accountants) is a dependable name involved in providing merger & acquisition consultancy to the businesses in and around Delhi, India. As a service provider, we help companies through an integrated, battle-tested approach that links acquisition strategy, diligence and merger integration. The undertaken M&A work is executed under the stern guidance of professionals and a full suite of solutions are provided right from strategy planning to integration execution. Know more about us and offered services through our official website.